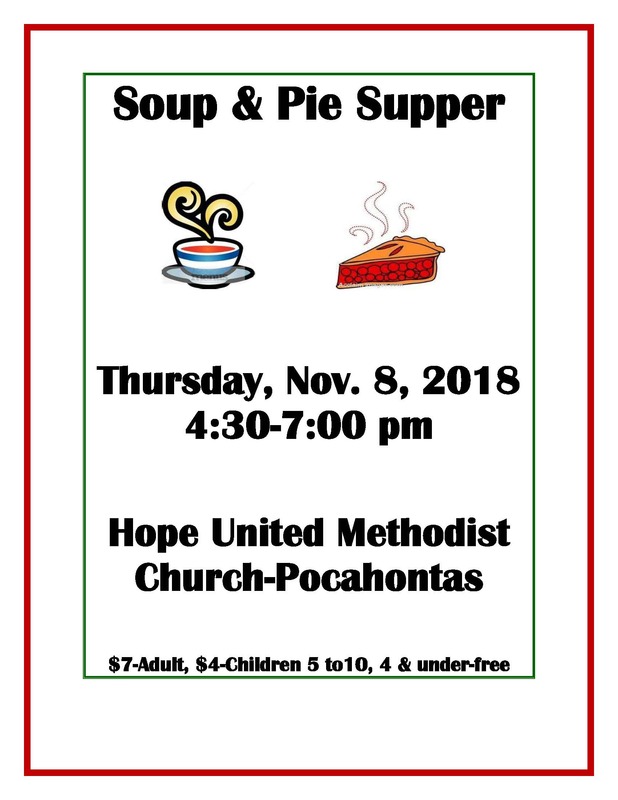 Grab your friends, family, and neighbors and come join us at our annual Soup and Pie Supper at Hope UMC in Pocahontas on THURSDAY, Nov. 8th from 4:30 – 7:00. We “HOPE” to see you all there! Well, as Fall is underway, there are LOTS of great things to mark on your calendar! 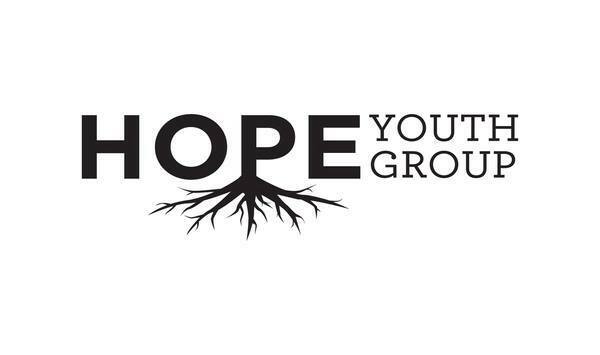 Hope Youth Group begins Wednesday, Oct. 10th from 6:30 – 7:30. This is for youth in 6th grade through high school. 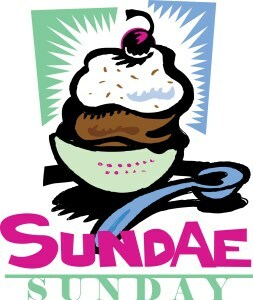 It will meet the 2nd and 4th Wednesday of each month – – unless there is no school! 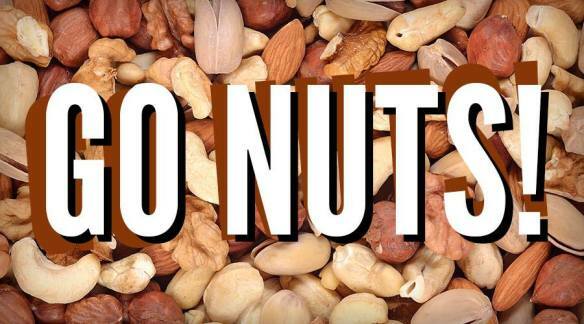 These nuts make great Christmas gifts and are great for holiday baking! Get yours before they are all gone! Spread the news! 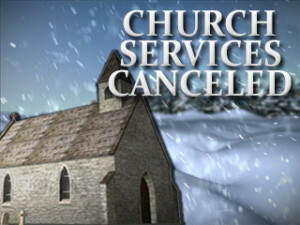 There is now going to be Sunday School at the Havelock Center after 8:30 worship. Classes will begin at 9:30, and we hope you will spread this good news to everyone with families in Havelock so they can come join this new venture! 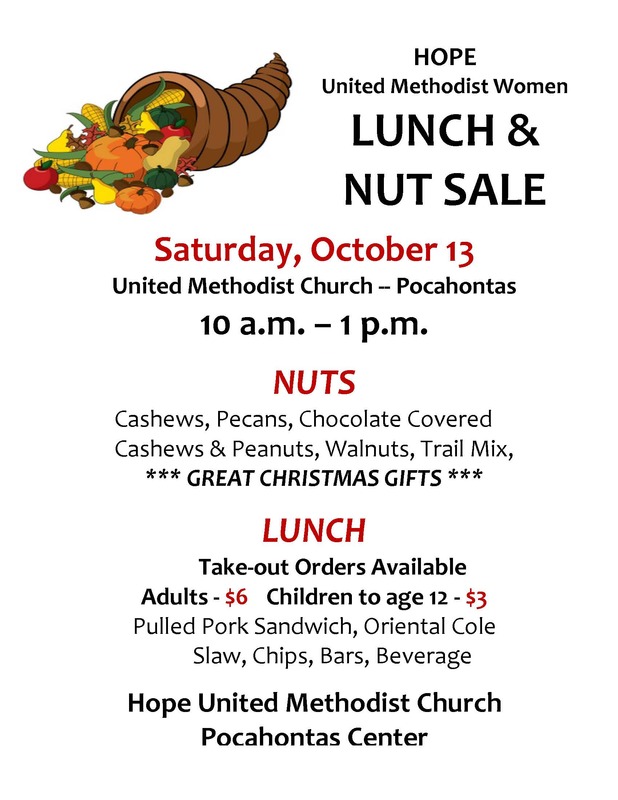 Join us this Sunday (Sept. 9th) at Hope UMC in Pocahontas as Sunday School classes resume at 9:30 am! Youth will start up in Fellowship Hall for donuts and juice, and then head down to their classes. 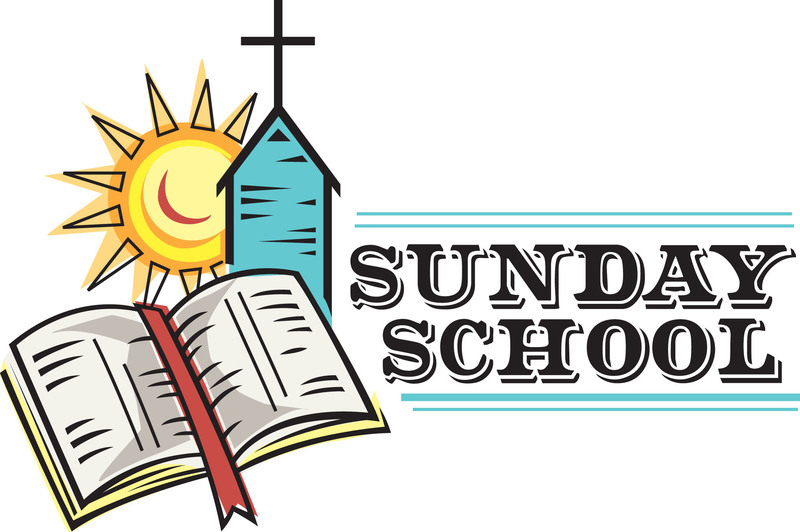 At 10:30 worship, we will have PROMOTION SUNDAY, and students, will receive their certificate of attendance awards from last year, and the new third graders will be given their new bibles from the church. We are excited to start all our Fall activities resume!! 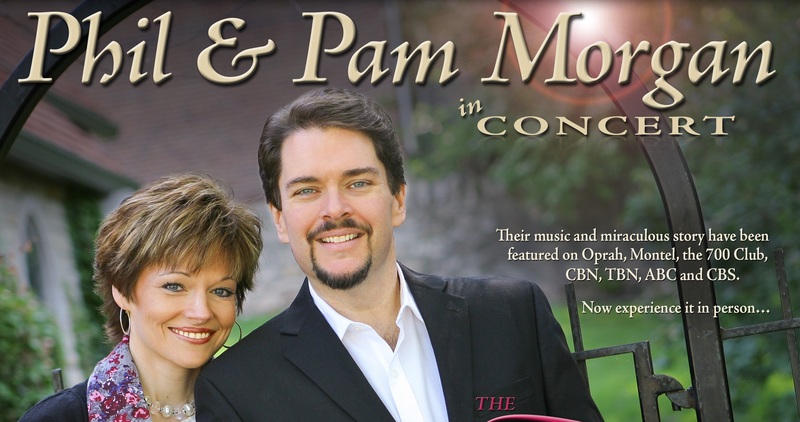 We “HOPE” to see you there! Please help spread the word!! Thanks to Jeanne S for videotaping this service for those who could not be there! And thanks for all of you who were able to share in the special day. This church’s legacy will live on in the hearts of many who go forth and do God’s will! Please remind everyone that the MOBILE FOOD PANTRY will be at the Expo Center this TUESDAY, July 31st (not the normal Wednesday) from 4:30 – 6:00. Volunteers are needed to help unload the truck @ 11:30 am and again to help distribute food from 4:30 – 6:00 pm. This is a great way to literally serve others! We “HOPE” to see you there!